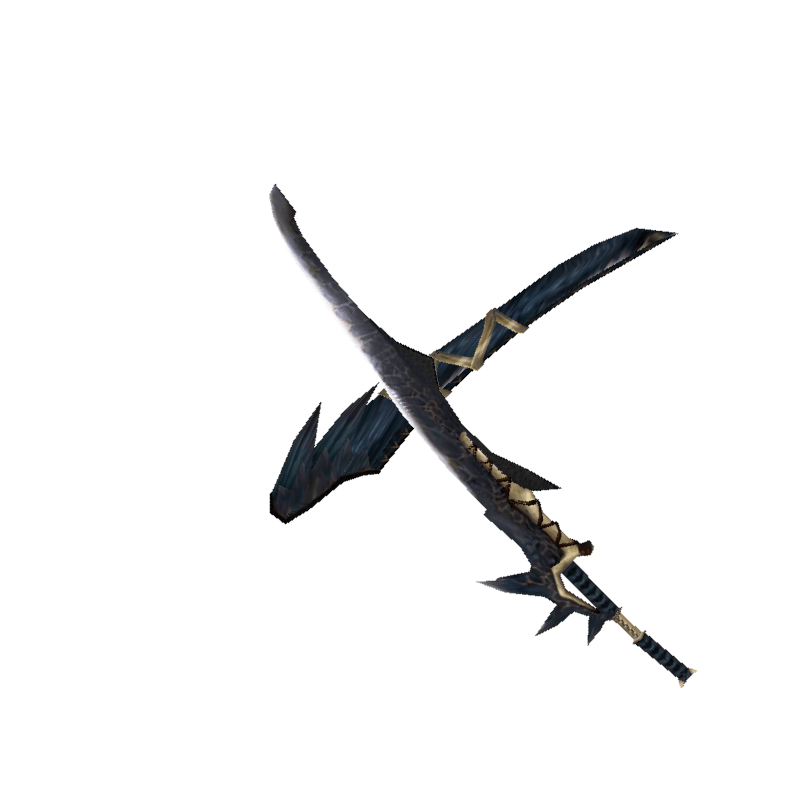 An ebon Long Sword, black as night. An additional blade appears when gripped with spirit. / The Hidden Saber's final form. Especially deadly during moonlit nights.